IONE, CA: Travel back to olden times at the beautiful Preston Castle, from 10 am to 4 pm, and find holiday decorations and vendors with lots of interesting arts, crafts, jewelry, baked goods, and other special items. This is a great place to take care of much of your holiday gift list. 25+ vendors will be indoors in the basement area of the Castle (NOTE: All vendor spaces are sold out). Santa will be available for your wish lists and photos, starting at Noon, and carolers will be roaming around spreading Holiday Cheer. 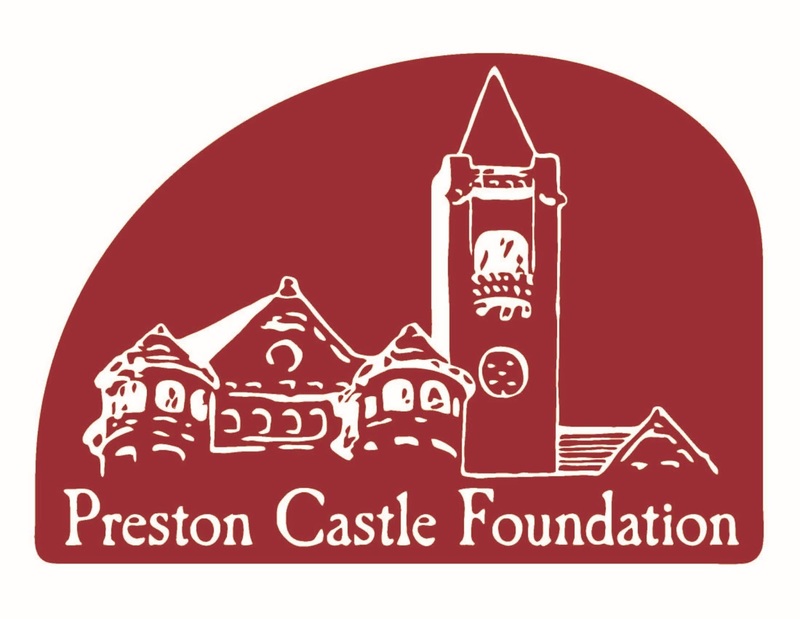 You can take a self-guided tour inside the beautiful Castle from 10 am to 1 pm. Go up the front steps to where the tours start. There will be plenty of time to shop before and after your tour. 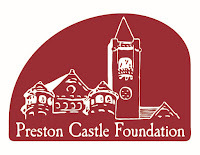 Castle Tour (self-guided): $15 Adult, $10 age 12 and under, age 5 and under free. 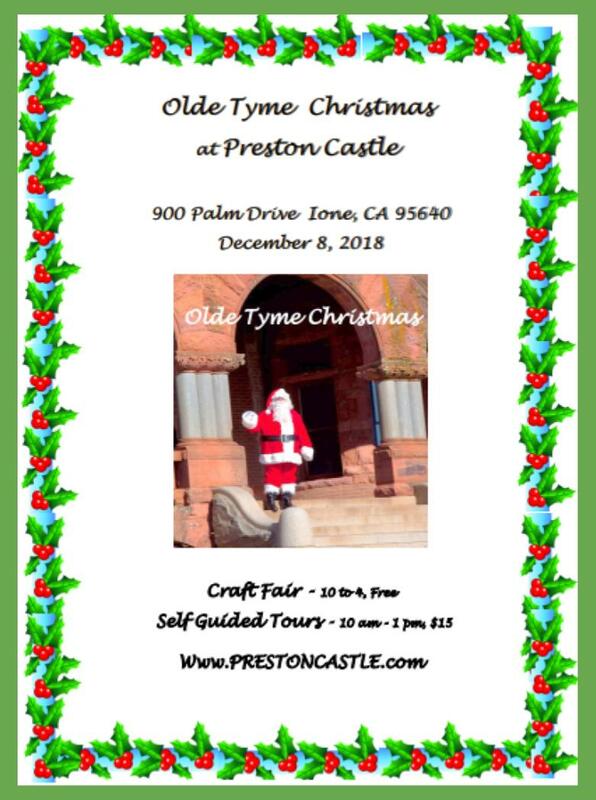 Olde Tyme Christmas is the last event of 2018 for the Preston Castle Foundation, and our wonderful hard working volunteers will be taking a well-earned winter break. 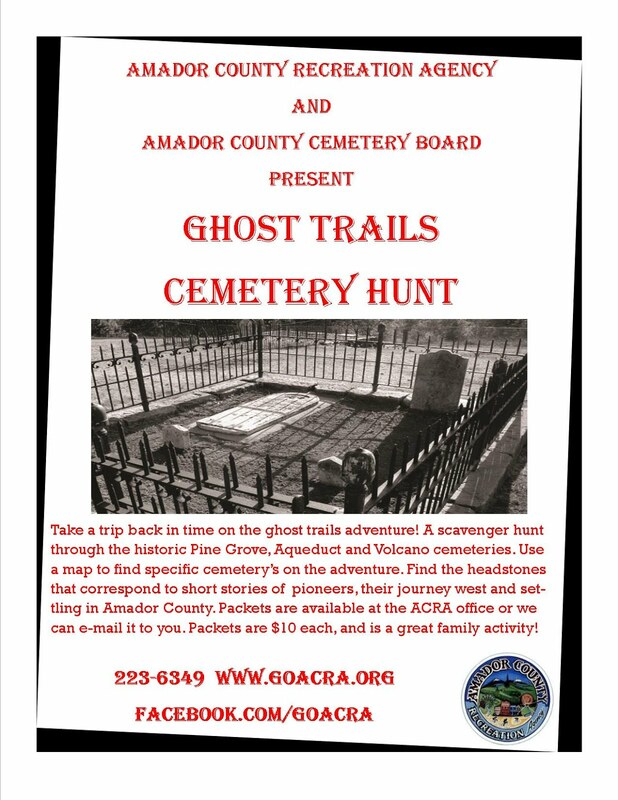 Things start up again with the first public tour day on April 6, 2019. Check our website and Facebook page for up to date information.